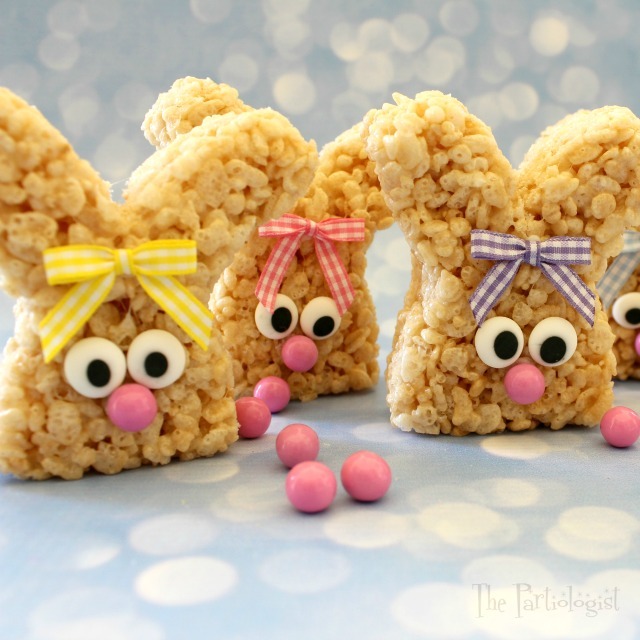 The Partiologist: Rice Krispie Bunnies in a Pinch! I've been working on so many ideas in my mind, my body doesn't have time to catch up. I finally opened the drawer and put away all the things that were left to be made into spectacular Valentines. They just didn't happen. Now I'm filling my drawer with ideas for Easter and some are more complicated than others. 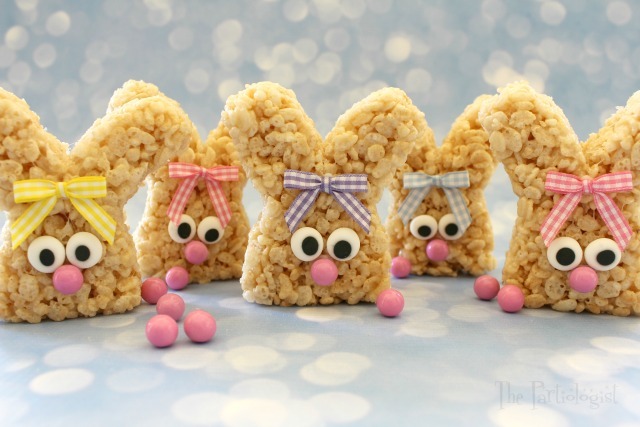 I decided this is not the week for anything complicated which is why I made the easiest Rice Krispie Bunnies ever. You don't need any special pan or skill and you can have them done in a pinch! Literally. 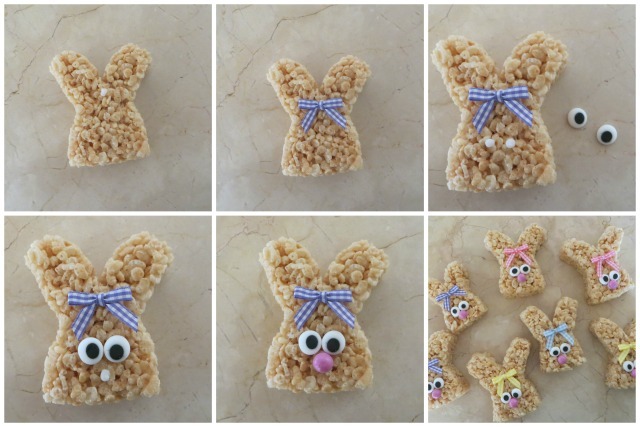 They started out as a simple pan of rice krispie treats. In minutes they were bunnies. So simple, your kids could make them. If you trust them with a knife, you know for the cutting. And I'm sure they'll have fun with the pinching part. 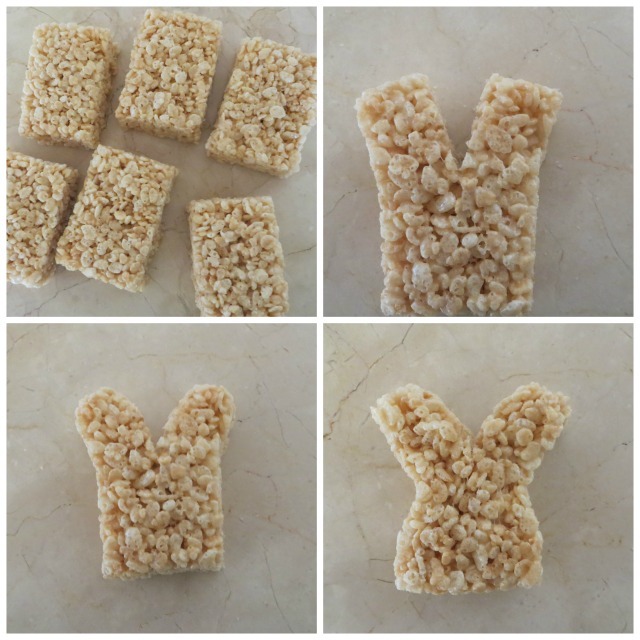 Start with a 9" x 13" pan of rice krispie treats. Recipe HERE. With a knife, cut a slit into the top of the RKT. Pull the sides apart and form into ears, rounding the edges. 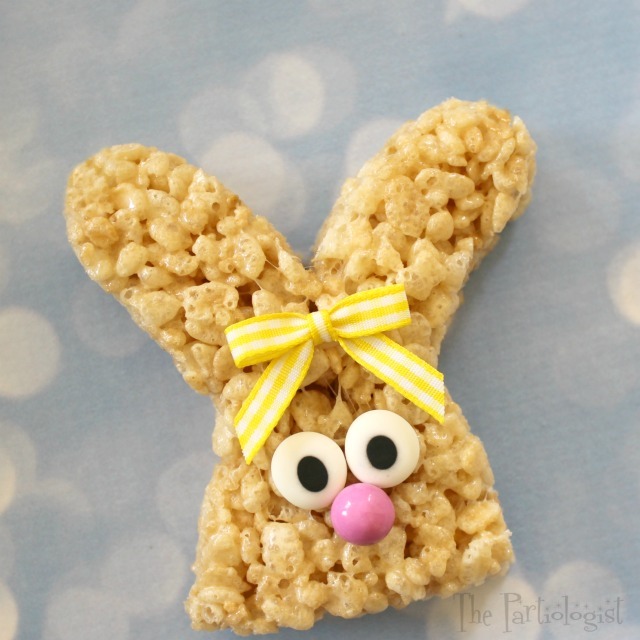 Pinch the middle of the RKT together, forming the bunny. And a dot of frosting, right between the ears and add a fabric ribbon. A couple more dots for the royal icing eyes. And one more dot for the pink sixlet nose. And yes, the bunnies do multiply. It could be every bunnies favorite treat! Hare's looking at you kid! Squeal. These are so simple and so incredibly cute. I'm glad they multiplied. 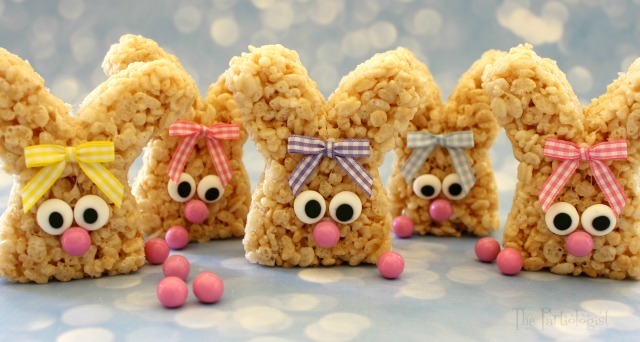 I AM MAKING THESE FOR SURE!!!! Wonderful idea! Thanks for this clever idea! These bunnies are just lovely Kim! I'm swooning over here! Great idea! You are so clever!!! Happy you like the idea, thanks so much!